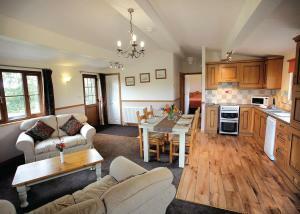 Featuring free WiFi, High Lodge is located in Darsham, 41 km from Norwich. Ipswich is 37 km from the property. All units feature a seating area. There is also a dining area and a kitchen equipped with an oven. A toaster and kettle are also offered. See all High Lodge reviews..